Rule of the Bone was formed by guitar playing brothers Greg, Ike and Walter Bombeck along with childhood friend Andrew Stallman a.k.a 'The Little Drummer Boy.' Their driving dual guitar sound and searing vocals have been heavily influenced by bands like Motorhead, AC/DC and Judas Priest. Rule of the Bone takes the stage by storm, providing a high-energy rock & roll show with blistering guitar solos and rumbling bass and drums. 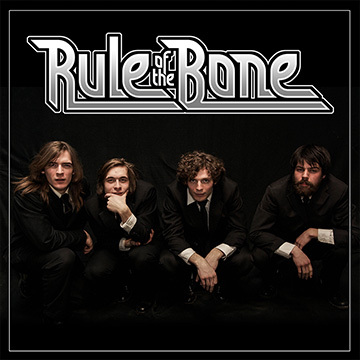 In February of 2013, Rule of the Bone released a five song EP of original, hard-driving rock & roll music.